Infographics are popular for good reason. Done well, they simplify complex data sets or processes, turning heavy information into inviting content that swiftly arrests reader attention, builds interest and builds qualified engagement. Additionally, because they are visuals by their very definition, infographics are more likely to be shared on social networks than plain text messages, and additionally carry extra weight with the algorithms that dictate what we see on search engines and social networks. In many cases, infographics often represent important strategic messages, such as a visual map of a new service, a guide to a process or a primary expression of an expensive, high-value piece of underlying content, such as a study or white paper. Infographics are important and effective, but many brands underuse these assets, failing to distribute them much beyond the company blog and a few Tweets. Here are some ideas for generating more traction with high-value visual content. Earn some media: Loop the PR team into the production of the infographic. Especially if the infographic summarizes data of some sort, chances are good there’s an underlying story in which industry media would find interesting. Pitch the story (and accompanying visual) to a relevant publication or web site as an exclusive, before you publish. Create a slide deck comprising the various elements of the infographic, and offering more detail when appropriate. Post it to SlideShare. Embed either a lead capture form or (at the very least) a clickable link to more information. SlideShare has its own discrete audience, and the decks have extra utility on your blog and amongst your sales team. Be sure to use the image to illustrate blog posts, press releases and any other messaging you distribute to promote related content, such as webinar invites, or promotions of white papers or study results. The data are unequivocal – content with visuals generates better results. However, the majority of news releases are text only. Visuals give your messages a real leg up in the competition for audience attention. One infographic can deliver a spectacular amount of long lasting value for the brand, and even more importantly, multiple opportunities for the organization to reach and engage audiences. However, to deliver capitalize on the power of this important type visual content, you have to have multi-channel distribution strategy for your brand’s infographics. Marketers love to A/B test web treatments, tweaking the phrasing of a message or position of a button to improve campaign results. But do we really know what content moves the sale forward when our sales team are in front of prospects? According to Ostrow’s research, the collaboration runs deep, exceeding the usual discussions between sales and marking, such as what exactly constitutes a lead and how quickly sales will follow up. Best in class organizations exhibit strong integration from the very top, in terms of shared goals, and that alignment trickles down through the sales and marketing organizations, providing powerful incentive for the the two teams to work toward the same goals. In practice, this integration is expressed a number of ways, and 360 degee feedback on messaging and content is one. If a divide between marketing and sales exists at your organization, an good place to start collaborating is on the messaging marketing is developing. It’s easy to get started and pays enormous dividends in campaign effectiveness and goodwill with sales. At the outset of a campaign or project – and any time the organization is performing persona research on an existing customer base – marketing should turn first to sales for a deep dive into the customer mindset. The information gleaned will be a rich source of intel and useful in informing message development. 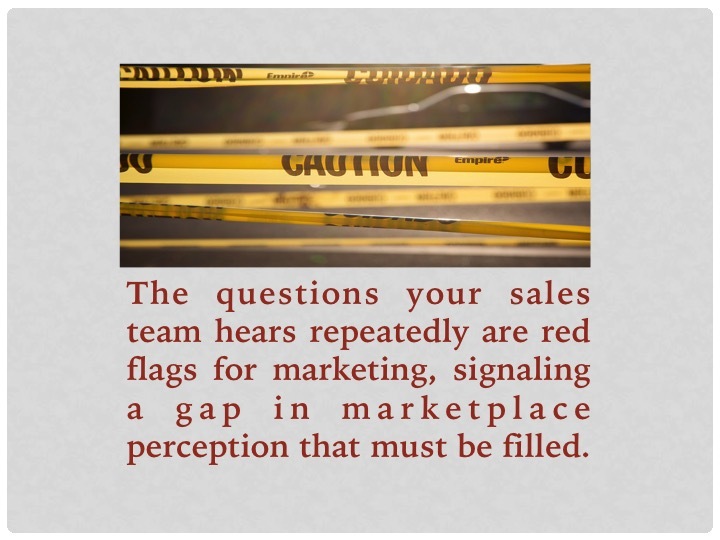 Surveying your sales team can reveal at a glance the marketplace challenges customers are facing, the messaging and materials sales finds most useful and most importantly – the gaps that exist between market conditions and the company value proposition. What questions do prospects ask for which you don’t have a good answer? The answers to this question will reveal holes in either the brand’s value proposition or your sales enablement tools. What curveballs do customers throw at you? The curveball questions are generally fewer and further between, but they can be an important indicator of early shifts in market needs or sentiment. A mix of in-person interviews and short, quick-to-complete surveys can deliver insights for the marketing team. If your brand organizes sales teams by vertical market or customer segment, conduct discrete surveys among each group to develop the clearest picture of the market. Using the insights gleaned from sales is just one advantage marketing can gain from collaborating with field sales. However, don’t stop there. As messaging is developed, test it with your sales teams. Expose them to the messaging and have key players weigh in on the sales enablement tools. Deploy messaging on a limited basis and collect feedback from the teams involved. One of my favorite tactics is to road-test concepts directly with clients when invited to present to client groups (something I did regularly.) I’ve given major event presentations dry runs with clients and used their reactions to gauge the stickiness of key messages within. This direct exposure has enabled me to determine which messages and concepts were sticky, and which needed additional work. At the outset, these hands-on and high-touch methods can seem inefficient, and obviously, because the sample size is small one should not overlook the data sets available to us in our analytics and automation platforms. However, for developing those ‘last mile’ messages that make the difference when the sales team is in front of the client, feedback from the front line teams is crucial. This sort of feedback and alignment is not abdication of marketing turf. While there are certainly times when the organization will want to limit exposure to messaging, there are plenty of more routine communications and campaigns that can benefit from these exercises. Overall message performance will improve – even for digital campaigns – when the organization closes loops and fills the information gaps that stall sales and leak leads. 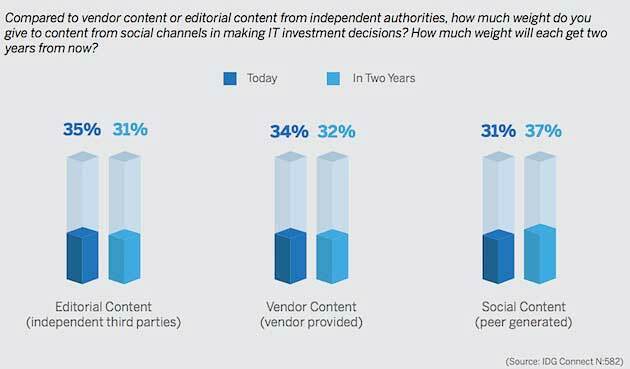 Peer-generated social content is on par with editorial content and vendor content. 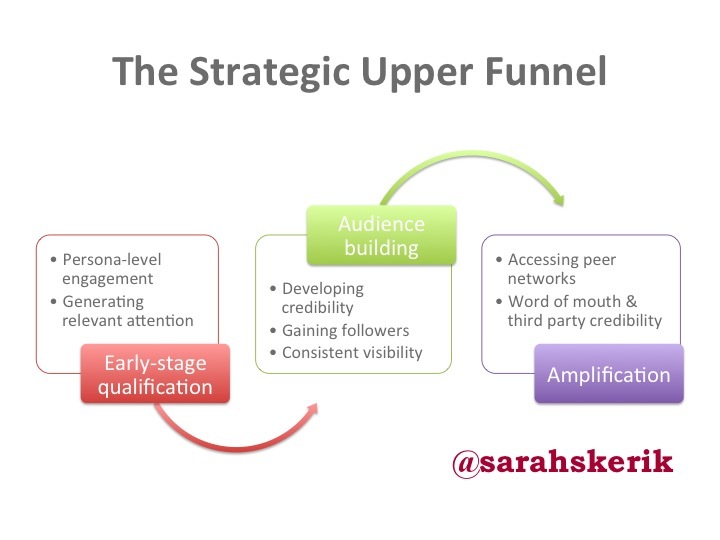 The content brands create needs to have utility in order to support sales and resonate on social channels. Via Marketing Profs. If you Google the terms “content marketing and sales,” you’ll find scores of white papers, articles and blog posts attesting to the value of content marketing as a lead generation engine that fuels sales. No argument there. Content is the layer that drives demand gen in the marketing stack. But precious little attention is paid to what is arguably the marketing department’s most important audience, namely, the company’s sales team. The sales team is one of the primary brand voices, and if they’re not singing from the same page as marketing, the result will be a fractured marketplace image, and real difficulty in overcoming perceptions the brand is eager to change. The sales team can also be powerful advocates and partners for marketing. The historical conflict and finger pointing that exist between marketing and sales makes no sense. Buyers today are making decisions without vendor input, against timeframes they dictate. This calls for an agile approach to sales enablement and responsive marketing plans with flexible frameworks. This means listening to the sales team and the marketplace, and having the resource and flexibility to swiftly adjust messaging and capitalize upon emerging opportunities. The changes in the buyer decision journey have also altered the mechanics of selling. We’ve all seen the studies about B2B buyer habits, which focus on online research and sidestep traditional sales channels until the decision is almost made. We also know that B2B buyers rely heavily on their social networks for information about products and services they’re considering. These changes offer marketers more than a few opportunities to impact the company top line, but they require marketing teams to balance long-term planning and projects with real-time opportunity and sales team needs. However, as you’ll see, providing strong marketing support to sales needn’t diminish campaign planning or demand gen strategy. These elements are not mutually exclusive. If you have credibility with your sales team, you’ll have credibility with your audience. To win, brands need to retool marketing outputs and ensure the content they publish has utility in the hands of the sales team as well as the marketing automation stack. It opens doors and builds credibility for the brand. Useful content communicates a potent subtext to customers and prospects: it says “We understand you.” It signals affinity, and it builds trust quickly. As a leave-behind or follow-up piece, evidential content provides a powerful, visible and memorable reinforcement of the message the sales person is conveying. If you’ve been in sales, you know how hard it is to get messages – or even concepts conveyed in in-person conversations – to stick with your customers. Tactical advice and customer examples educate your sales team as well as customers and prospects. I learned this shortly after I launched the company blog, when I started hearing “I’m learning so much from the blog!” from individual team members, over and over again. As soon as I realized that, I started treating the blog as a conversation between me and our widely-scattered sales team, keeping them firmly in mind with each post, and making utility for sales a primary goal. The content we published and promoted there became an important sales education tool. Grist for social selling. The sales reps I worked with were increasingly active on social networks. I quickly learned that they were willing to share interesting and useful content we published widely with their audiences, and even more interestingly. They consumed the content quickly, incorporating the vernacular into their own social posts and conversations. By happy accident, I discovered how important a role the brand’s social sellers can play in building a unified brand voice and story. 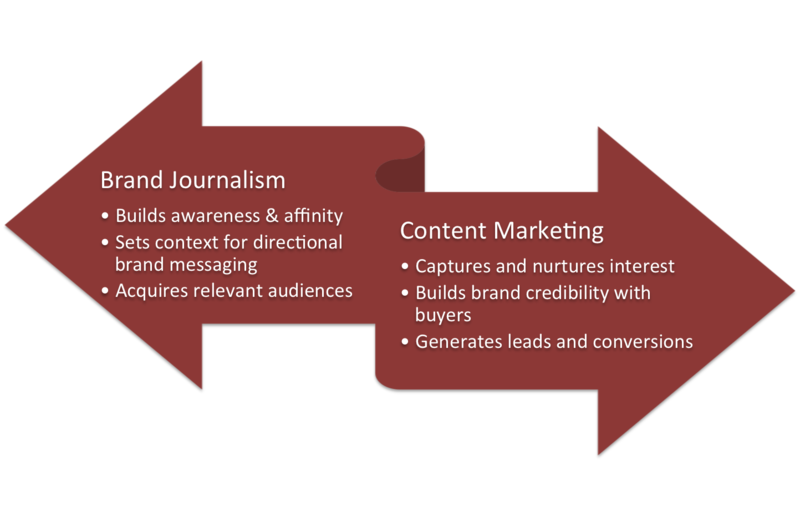 Creating content that empowers sales also builds the marketing team’s credibility with sales. That trust is important capital, and the dividends are paid when the sales team trusts marketing’s messaging and takes it willingly to the field. The power of integrated marketing is undeniable, and it’s efficient. 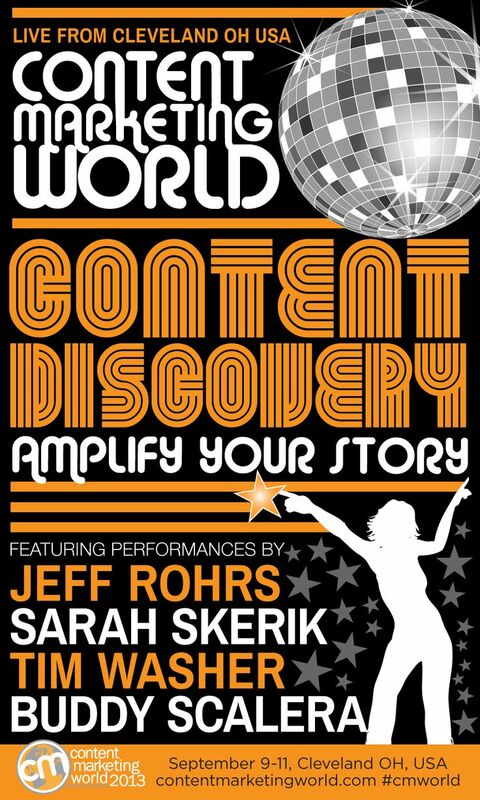 Using events and content marketing to build runway for campaigns, and earned media to build credibility, awareness and search pull, and tying everything together from an analytics standpoint — these are sound ideas. The efficiencies that can be gained when the organization develops aligned messaging that has utility in the field, resonates on social networks, generates search engine pull and (yes) generates leads is undeniable. However, these opportunities are overlooked when silos exist, or when marketing has a singular focus. As a result, the marketing team misses opportunities to deliver measurable impact right now, and the sales team ends up wasting time cobbling together its own materials. You can’t let long term planning eat your short term opportunities. How do we bust those silos? It starts with alignment at the top, specifically aligning marketing and sales goals and strategies. But there may be an easy and practical approach, which I’ll explore next week: Intel & Integration. 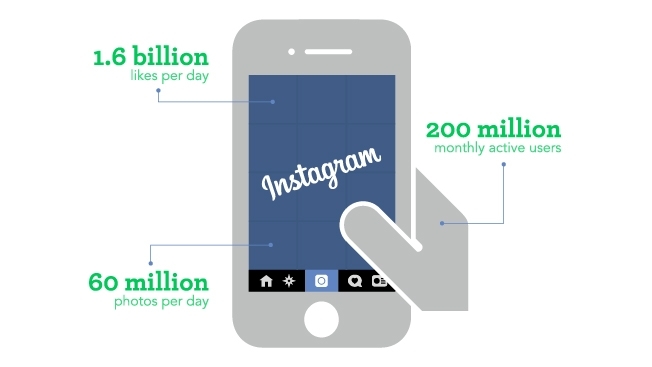 New data from Simply Measured offers marketers compelling insight into the effectiveness of Instagram, and the numbers should make any marketer stop in their tracks. Audiences are swelling and engagement levels are up more than four-fold year on year. 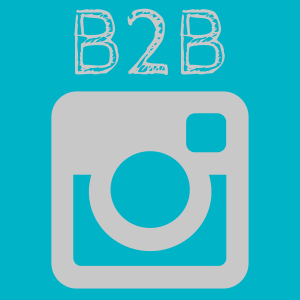 However, a scan of the research reveals that the preponderance of brands on Instagram are consumer-focused, which begs the question — Do B2Bs belong on Instagram? Platforms like Pinterest, Tumblr, Instagram and Facebook can be of enormous utility to B2Bs, simply because many of the denizens on those platforms have professional interests. They want to advance their careers, improve their performance and solve business problems. And the time they spend surfing favorite social networks is a golden opportunity for marketers. Case in point: I am a keep-your-peanut-butter-out-of-my-chocolate social network user. My Facebook presence is purely personal, whereas on Twitter and LinkedIn, I talk nothing but shop. However, Facebook’s algorithm knows who I am, and serves up interesting content from Marketo that hooks me every single time. So to answer the question posed by the headline, yes, your brand may very well belong from being on Instagram. However, as you’ve surmised by now, there’s more to consider as you determine the best answer for your organization. Are my audiences on Instagram? The first question brands need to ask is whether their constituents are on the social network they’re targeting. Assess the network’s demographics first, and if they are there in droves, spend some time in-persona, assessing the network content through the lenses of your target groups. Do we have the right people to build the presence? Developing traction on social networks is not a set-it-and-forget-it proposition. It requires smart curation, audience savvy and good people and service skills. However, I’d say that a good brand presence starts with a real network enthusiast – someone who has experience on and dexterity with the social network, and frankly loves using it. Do we have the right content or story for the social network? Brands that plaster the same content across networks will invariably fail. Social networks are – by definition -social in nature. The content brands share has to be the right mix of attractive and compelling. In the case of Instagram and other highly visual networks. brands need to tell their stories visually, and for many, that can be a stumbling block. Before you jump in, assess the brand’s content. Success will depend upon the ongoing creation of relevant, platform-appropriate content. The measurement question is probably the most often overlooked, because put another way, it asks “What are we doing here, and what do we hope to achieve?” In the case of a site like Instagram, the content and subsequent interactions in the upper funnel, building awareness and developing qualified interest. The “ask” needs to be in line with very early-stage consideration. Defining objectives and measuring results hinge upon setting appropriate objectives for the network. If you have good answers to these four questions, chances are good your brand will thrive on on Instagram. If you’re treating press releases as dull communiques destined for deletion, you’re missing an opportunity. Today’s news releases traverse web sites and social networks, acting as digital ambassadors that introduce your brand to new audiences. Press releases have evolved in content, utility, and format. The audience these messages reach has also changed significantly over the years. When I started working for PR Newswire 20 years ago, very few people have ever heard of the company. At that time, press releases were sent primarily to newsrooms, and didn’t see the light of day otherwise. There were a handful of databases and start up online services, like America Online and CompuServe, which received our news release feed, but in the mid-90s, the online audience was extremely limited. Fast-forward to today, and many people have heard of PR Newswire, even non-communicators. They see news releases online, on Yahoo and the thousands of other websites that syndicate them. More than once, I’ve seen PR Newswire content shared by my friends on Facebook and my peers on Twitter. Buyers – businesses, consumers and governments — are changing their behaviors, driven by changes in the communications channels and technologies they use to research purchases and share information with peers, bringing new opportunities and challenges for public relations to the fore. Earned media mentions hold particular sway with potential buyers, which means PR can deliver measurable top line business impact. To capitalize on this trend, however, PR professionals must improve and rethink the way they create and distribute their messages, designing them to support the purchase decision and aligning them with the buyers’ journey. Buyers are influenced more by their own research than they are by traditional sales pitches. By the time a buyer contacts a company, the buyer has already made many decisions, including the elimination of potential vendors. In fact, much of the buying cycle has already taken place. I’ve devoted a lot of time this summer to the concept of driving content discovery. When you work for PR Newswire and have a content marketing role, that also comes with a license to experiment, and the keys to the content candy store. Over the last few months, I’ve been playing with this and that, combining multimedia distribution with social platforms, plugging news releases into the mix and in general pulling levers and pushing buttons. And some of it’s worked pretty well. Summary: There are 3 important lessons for public relations professionals in crafting effective press releases and other digital messages to be gleaned from the Financial Times’ launch this week of FastFT, a short-format news service. The idea of using alternative content formats to create portals leading readers to other related content is an excellent idea.